Summer is finally here! Our typical weather patterns of lighter winds and daily rain showers will become the norm as our waters begin to heat up. As the flats start to warm up around mid-day, most species will move into deeper water for protection from the rising heat. Getting an early start in the back country will be the key to getting shots at Bonefish, Jacks or even a Permit. Timing your trip with the incoming tide with small tan crab patterns will work with all three species on fly. Live shrimp or small crabs should be your bait of choice when on spin gear. As the larger migratory Tarpon move further north, anglers will still have plenty of our juvenile fish around in the 20-50 lb. range. Along with the early morning bite, these tarpon can be targeted late in the afternoon as well moving tight along mangroves. Offshore the Dolphin has been on fire! Many captains are reporting fish 25lb. and larger. Wahoo, Bonita's and some Tuna are also being landed regularly as well. The man in the blue suit (Blue Marlin) has been making some appearances too! Just getting a hook up with a Marlin and seeing it blast out of the ocean can make a memory for a life time. The grouper and Yellow-tail snapper have continued to bite well between 70-90 feet. Wishing all who venture out tight lines and fish boat side!!! 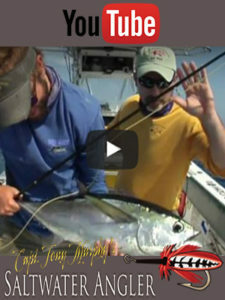 Tagged charterboat fishing key west, fish key west, fishing florida keys, key west, key west fishing, key west fishing charters, key west flats fishing, key west offshore fishing. Bookmark the permalink.